"DeNovix DS-11 and DS-11+ Spectrophotometer"
Trade-in any existing UV/Vis spectrophotometer in your lab and receive a discount on a DS-11 or DS-11+. The DeNovix DS-11 and DS-11+ (microvolume and cuvette port) takes the world of microvolume spectrophotometry to a whole new level. Its compact, stand-alone design allows it to operate without a PC and does not require any software installation. Just turn it on and it’s ready to go. 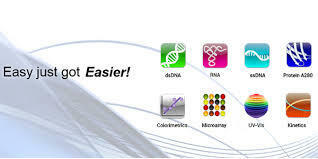 The DS-11 Spectrophotometer was designed by a team of experienced engineers and life scientists to deliver rapid and reliable quantification of nucleic acid and protein samples (patent pending). Busy labs will love the 4 second measurements and the time-saving AutoRun function. You’ll also love the choice of four attractive colors (arctic white, Brazilian blue, fire red and Tungsten gray)! 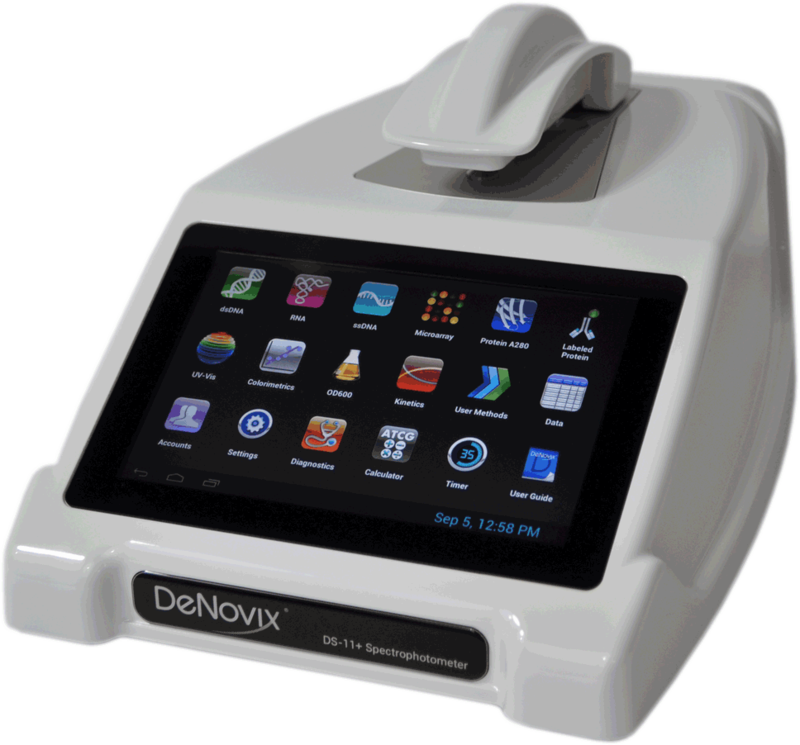 The DeNovix DS-11 and DS-11+ Spectrophotometer is a compact, stand-alone instrument with intuitive, easy-to-use apps for quantifying DNA, RNA and Protein. 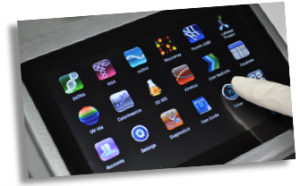 Pre-configured apps ensure optimized workflows while the streamlined yet powerful Custom Formula Methods app enables researchers to quickly create and save new methods. 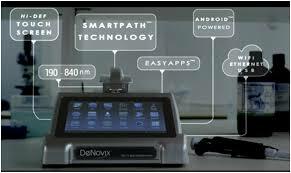 The DS-11 proprietary SmartPath® Technology in conjunction with DeNovix's innovative microvolume design (patent pending) automatically uses the optimal path length when measuring a sample. Other microvolume spectrophotometers may offer multiple path lengths, but many require the user to guess which path length is needed prior to measuring the sample. The DS-11 uses real-time absorbance data to determine the best path length (ranging from 0.03-0.5 mm) to use for each measurement. The DS-11 can measure samples with absorbance values as high as 500 absorbance units (at a 1 cm equivalent path length). This translates into 750 mg/ml of BSA protein or 25000 ng/ul of dsDNA. (In reality, concentrations this high may be too viscous to measure but the system uses these numbers for reference only). This ultra high absorbance capability is achieved by using a remarkably small path length of 0.03mm (30 microns) enabled by our SmartPath® Technology. Even at this short path length, typical CV of measurements is less than 3%. A key feature of the DS-11 is that the longest path length used (0.5 mm path) is shorter than the 1.0 mm path used by other microvolume spectrophotometers. This enables the DS-11 to truly measure 1.0 ul samples, virtually eliminating the possibility of erroneous results due to sample column breakage. The reproducibility of measurements on the DS-11 is an important performance feature. For example, replicates of 500 ng/ul dsDNA samples typically result in CV’s of less than 1%. By using SmartPath® Technology, the DS-11 does not rely on fixed path length calibrations and therefore does not require regular calibration checks. However, it is good practice to periodically confirm proper instrument operation. 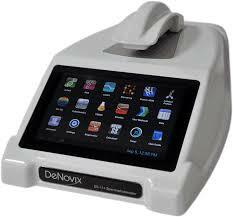 DeNovix offers the LC-NA standard to easily verify proper operation of the DS-11.